Kick off the new season with us. Tour the greenhouse, sample spring appetizers & cheeses. Discover our barn full of new handcrafts, jewelry & temptations. Hunt for an Easter Egg with a discount coupon! West Hebron for children 2 to 10 years. Rain or Shine. Photos with the Easter Bunny too! at Salem Central School hosted by the Salem Area Woman’s Club. A great community day of learning & nurturing! 9am-5pm MEMORIAL DAY WEEKEND OPEN daily for great plants, expert garden advice and creative ideas. Noon-4pm CHEESE + CAFÉ OPENS for the season! Savor paninis, salads, soups & cheese boards complemented by local wines & beers in a garden setting. Yum! On Father’s Day , dads who dine will receive a FREE slice of Nuns of New Skete Cheesecake! a celebration of arts & agriculture. Enjoy food, arts & music! Contact us 518.854.3250 to ask if the BIG, Bountiful U-Pick Blueberries are ripe! We’ll share picking info! ! A collaboration of local artists who celebrate nature. Photographer Lynne Kerr, floral designers Randy & Meg, furniture craftsman /builder Al Wilson & more artists showcase their work in our barn gallery. Our first dinner with 2 friends from Cape Cod who are bringing fresh oysters & seafood for a very special dinner! Fare will include a cheese buffet followed by the Cape’s best fresh seafood with local sweet corn, Hand melons & our blueberries! WASHINGTON COUNTY FAIR Grab your walking shoes & go to the fair! 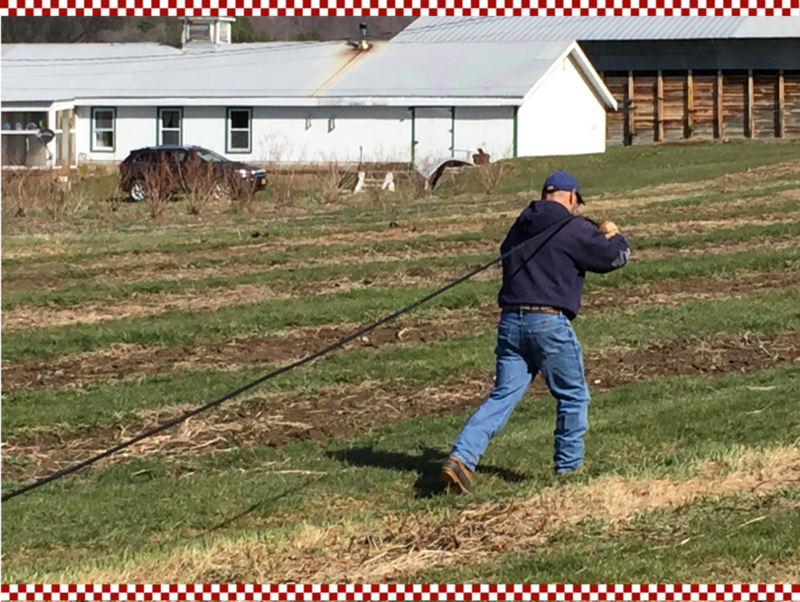 See farm animals, taste bloomin’ onions & hear country music & the roar of tractors and stock cars…a most exciting event! Visit the Gardenworks booth in The County Bounty Building as you sip a maple shake! The harvest continues with big, sweet red raspberries. Pick all during September into mid-October. We have the the buckets. Please bring containers or boxes to carry berries home. OPEN: 9 – 5 pm. 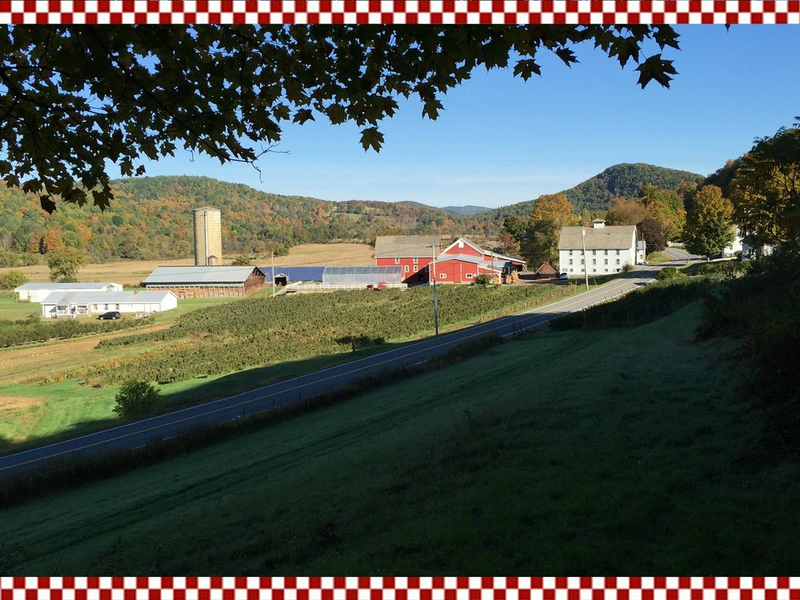 Discover farms where amazing cheeses are produced & visit Taylor’s Brewery & Victory View Vineyards. Join chef Annette Nielsen as she prepares roasted squash & root veggies in plant forward dishes building on healthy grains. Enjoy samples, taste an apple/raspberry tart & take home recipes! Oh, my! Join our festival with FREE samples of savory soup & autumn fare. See scarecrows, mounds of pumpkins & colorful squashes. Admire hundreds of dried flowers, Chinese lanterns & Indian corn. Enjoy our warm welcome, take photos, great ideas & celebrate autumn. HAPPY HALLOWEEN! Get a FREE pumpkin with every purchase! BOO! Sip warm spiced cider, amble through the barn and preview the sights & centerpieces for a new season! Enjoy cheese samples and holiday appetizers! 9 am – 5 pm OPEN HOUSE: MERRY & BRIGHT! Tour the barn & milk house for a fantastic overview of beautiful ornaments & trimmings. Discover decorating ideas for your mantle and table too! Admire handcrafted items by local artisans, enjoy food samples and sip warm spiced cider. for Bountiful Cheeses Join Rob for a free cheese sampling to gather ideas for your Thanksgiving cheeseboard. Learn. Enjoy! with Matthew Rozell, award winning 10 author of the WW II series, The Things Our Fathers Saw, Vol 5; D-Day and Beyond. Appropriate for Veteran’s Day Weekend - Open Monday! with Matthew Rozell, award winning author of the WW II series, The Things Our Fathers Saw, Vol 5; D-Day and Beyond. Appropriate for Veteran’s Day Weekend - Open Monday! Visit our Barn brimming with holiday temptations, handcrafted gifts, trimmings & fresh garlands. Enjoy warm cider & food samples. with the harmonious LaMothe-Gee family. Eat! Drink! Shop! Amble through the Christmas barn filled with beautiful gifts, handcrafts & treats. Meet local artisans & authors. Enjoy FREE gift wrapping, chili & beverages. Share the holiday cheer with neighbors & friends! Visit this jolly guy for photos & a chat. All profits donated to Salem’s Lunch, Learn & Play Summer Program ($972 donated in 2018). If you live near Gardenworks, SANTA may be able to schedule a private visit. Call 518.854.3250 for details. We’re ready to help with your last minute gifts. Stay calm! 9am-5pm BIG SALE: 1 – DAY!